Dyno Battery Co. Established in 1933 and family owned since 1947 have been producing high-quality, premium deep cycle batteries for the commercial and industrial market worldwide. Dyno’s 80 years of experience has engineered a battery to perform daily for the most demanding equipment in deep cycle applications. 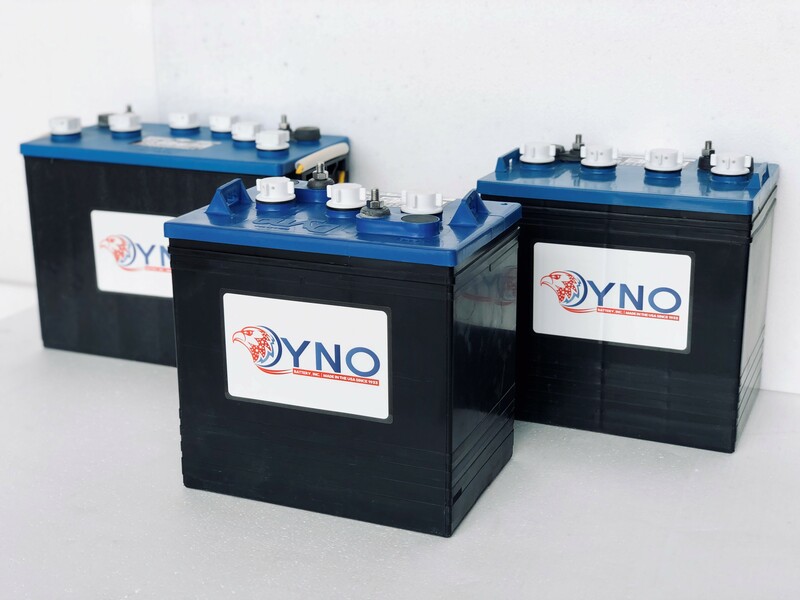 This experience combined with a modern state-of-the-art manufacturing plant, allows Dyno to produce a high grade, robust battery that can be used in many harsh applications be it marine, aerial work platforms, floor scrubbers or alternative energy storage. Extra heavy plate straps provide superior performance and eliminate premature failure in extreme environments. Dyno has the power and reliability you need to get the job done.